To date, the Philippines has produced fifteen presidents who, including the incumbent Chief Executive have contributed to the betterment of Philippine society. The Philippine Presidency may be divided into different eras that begins with Emilio Agunaldo's First Philippine Republic. This was the aftermath of the Filipino-Spanish War. The 1899 Filipino-American War led to the republic's demise. The American occupation saw the Filipinos in another war for independence until 1913 but soon lost the cause owing to the great military might of Uncle Sam. Years later, U.S. President Franklin Delano Roosevelt approved the 1935 Constitution and was ratified by the Filipinos in a plebiscite on May 14, 1935. This led to the birth of the Philippine Commonwealth. Three presidents served the Commonwealth - Manuel Quezon, Sergio Osmeña and Manuel Roxas. In 1941, during the term of Quezon, Japan invaded the Philippines and made Jose Laurel the president of the Japanese sponsored 2nd Philippine Republic. After World War 2 in 1945, America was ready to grant the Philippines her much awaited independence. 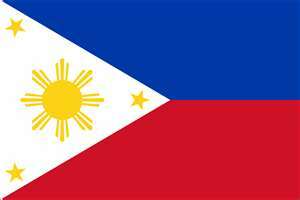 On July 4, 1946, The 3rd Republic of the Philippines was inaugurated with Manuel Roxas as its president. He was succeeded by Elpidio Quirino in 1948. Ramon Magsaysay became president in 1953 but his term ended after a tragic plane crash in 1957. His vice president, Carlos Garcia assumed the presidency until 1961 but lost to Diosdado Macapagal in an election. In 1965, Ferdinand Marcos unanimously won over Macapagal in the presidential election which saw the rise of the conjugal dictatorship. On September 21, 1972, the whole country was placed under martial law. He created a new society and was the first president of the 4th Republic of the Philippines. The assassination of his arch rival, Senator Benigno Aquino Jr. marked the beginning of Marcos' downfall. After being proclaimed winner in a very questionable snap election against Ninoy's widow Corazon Aquino in 1985, he was ousted from power by a popular people power revolt in February 1986. Cory Aquino became the first woman president and fulfilled her term. The 5th Republic was installed. She supported the candidacy of her defense secretary, Fidel Ramos who won the 1992 elections. Joseph Ejercito Estrada became president in 1998 but was ousted from power through the Second People Power Revolution in 2001. His vice president, Gloria Macapagal-Arroyo was installed as new president. She was elected to another six year term after besting other candidates in an election and was sworn in on June 30, 2004. Her term ended on June 30, 2010. Gloria Macapagal-Arroyo is the daughter of President Diosdado Macapagal. Benigno Simeon "Noynoy" Aquino III is the son of Philippine hero Benigno "Ninoy" Aquino Jr. and President Corazon "Cory" Aquino. After Cory's death on August 1, 2009, there was a public clamor for Noynoy to run as president during the May 10, 2010 Presidential Elections. Aquino won a major victory with 15 million Filipinos voting for him in the country's first automated elections. 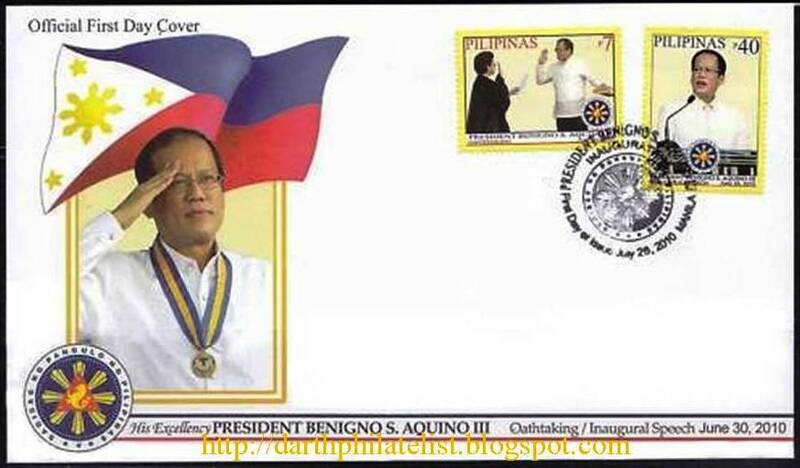 "Pnoy" short forr President Noynoy assumed office on June 30, 2010. The stamps featured here are from the collections of Cebu Stamp Club's Richard Allan Uy.